Affordable Prices – Extreme Electrical Service LLC will help you save money as well, providing professional service at competitive prices. 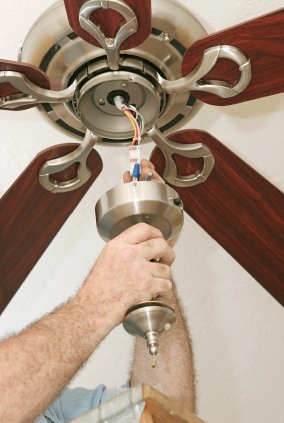 Extreme Electrical Service LLC supplies all of the wiring and controls necessary for ceiling fan installation, and will move an existing ceiling fan or install your new one quickly and for a fair price. Avoid doing this project yourself and save money by calling Extreme Electrical Service LLC. Solid Warranty – With Extreme Electrical Service LLC on the job you can you to trust that your ceiling fan has been securely mounted. Extreme Electrical Service LLC even stands behind all ceiling fan installation projects with a solid customer service warranty. In the business since 1997, Extreme Electrical Service LLC can provide a list of satisfied local customers for references. Trust in the professional work and solid warranty offered by Extreme Electrical Service LLC, experts in ceiling fan installation for an affordable price. Improve your living space by calling Extreme Electrical Service LLC at (816) 548-1162 today for a free quote.